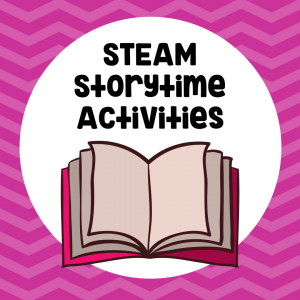 STEAM storytime is one of our favorite ways to integrate read-aloud books with fun STEAM challenges. 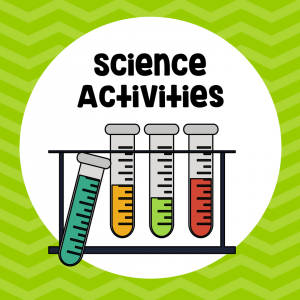 A STEAM (Science, Technology, Engineering, Art, and Math) challenge is designed for children to help inspire creativity, collaboration, communication, and encourage critical thinking, otherwise known as the 4 C’s. 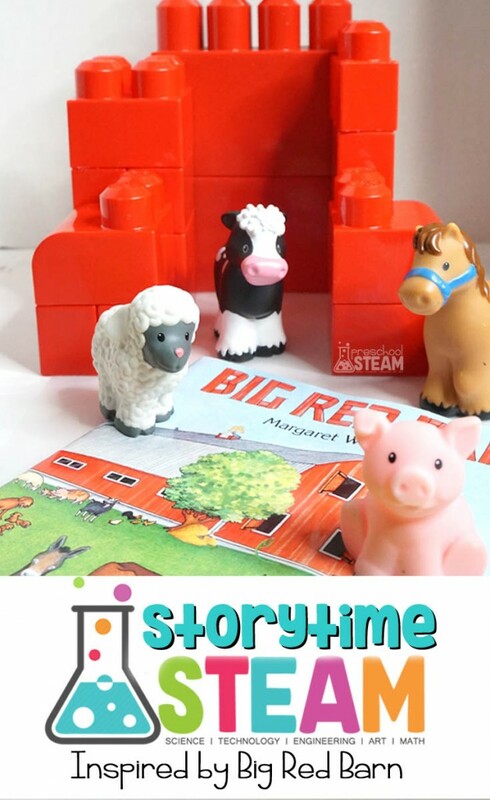 This STEAM activity for preschoolers is inspired by the popular book, The Big Red Barn written by, Margaret Wise Brown, and is perfect for your next FARM learning theme. 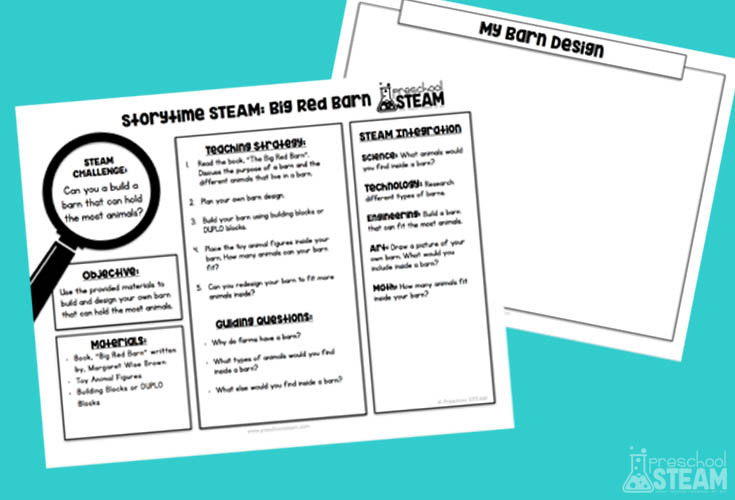 STEAM Challenge: Can you a build a barn that can hold the most animals? Objective: Use the provided materials to build and design your own barn that can hold the most animals. 1. Read the book, “The Big Red Barn”. Discuss the purpose of a barn and the different animals that live in a barn. 2. Plan your own barn design. 3. 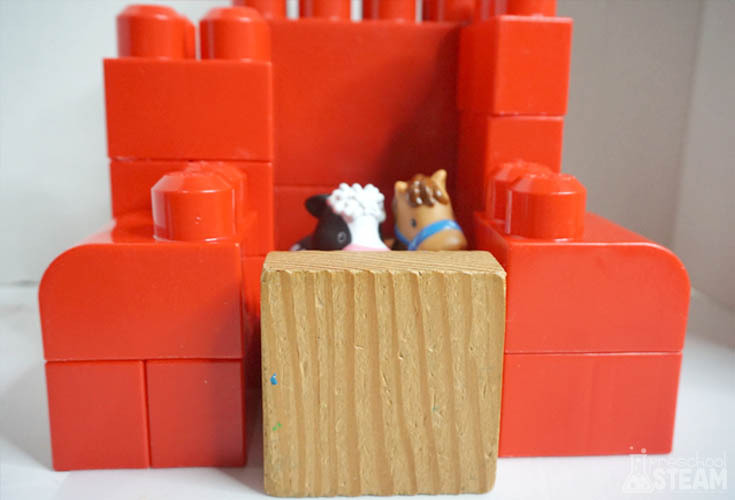 Build your barn using building blocks or DUPLO blocks. 4. 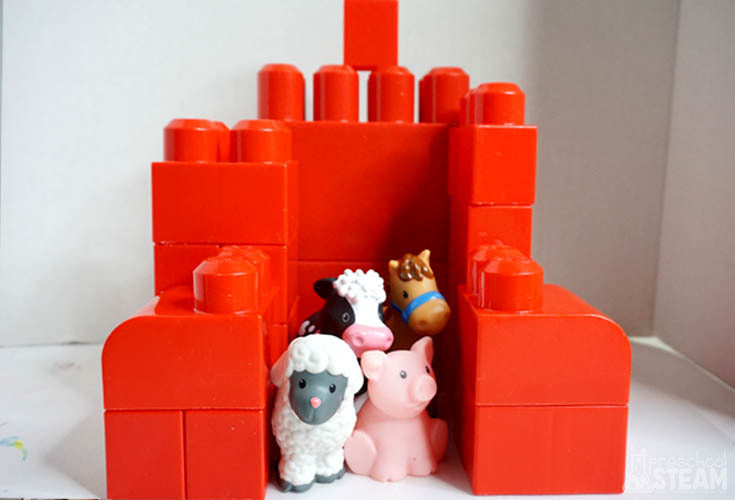 Place the toy animal figures inside your barn. 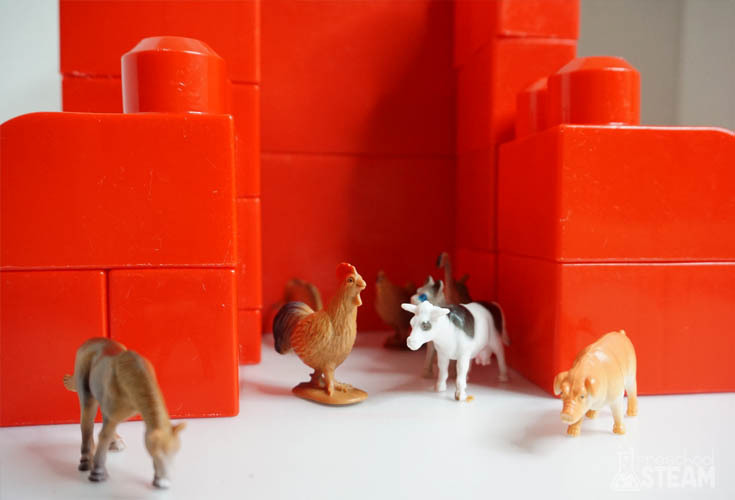 How many animals can your barn fit? Can you redesign your barn to fit more animals inside? Why do farms have a barn? What types of animals would you find inside a barn? What else would you find inside a barn? Science: What animals would you find inside a barn? Technology: Research different types of barns. Engineering: Build a barn that can fit the most animals. Art: Draw a picture of your own barn. What would you include inside a barn? Math: How many animals fit inside your barn?